With every ode of gladness, Natalie Egenolf is full of life and exuberance. She often times doesn’t know how to keep talking in check and was often chastised by her high school teachers because of her nonchalant attitude. Natalie who understood her character to be different from her peers decided to create a paradise from her darkness. So, she took talking and nonchalance, molded it into a crater that has pulled her to the limelight. She is famous as a sports commentator and currently pulling strings as the host of her own show, Saturday Sports Social with Natalie Engenolf. She also keeps her spectators in check during The Mike Missanelli Show on 97.5 The Fanatic. Also, she has taken her talents to the level of journalism working as a reporter for Sirius XM NFL Radio Sunday Drive and ESPN’s Operations Football. Find out more about this lady in the article. Every 28th day of the month of September makes a new year for Natalie Egenolf. She was born in the year 1988 in Philadelphia. The Philadelphia native was a scholar at Cardinal Dougherty High School. She later graduated in the year 2011 with a bachelors degree in Strategic and Organizational Communications from Temple University. 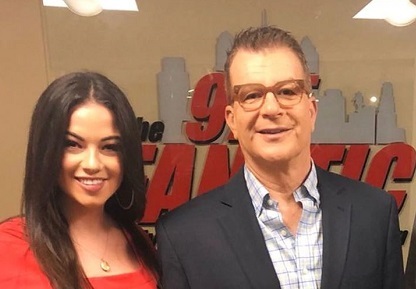 She started her career way back from high school, however, her first official job was with a radio station as a Game Day Broadcast Intern and Studio assistant for Eagles Radio Network – 94 WYSP from 2009 till 2010. There, she also worked as a social media manager. Natalie Egenolf worked in Philadelphia as an OAP for sports radio 95 WIP. She basically aired her views about sports events as well as listening to the views of most sports fans around Philadelphia. More so, she occupied the spot as a feature reporter for four years working for Phillies Nation. She later worked on Tony Bruno podcast show and CCI Communication as an on-air co-host. In the following years, NBC employed Natalie Egenolf to work with them in various sports programs she anchored and hosted. She subsequently joined CBS radio as a marketing assistant and a station representative. After a few years of working on air with the CBS crew, she became the radio’s executive accountant. 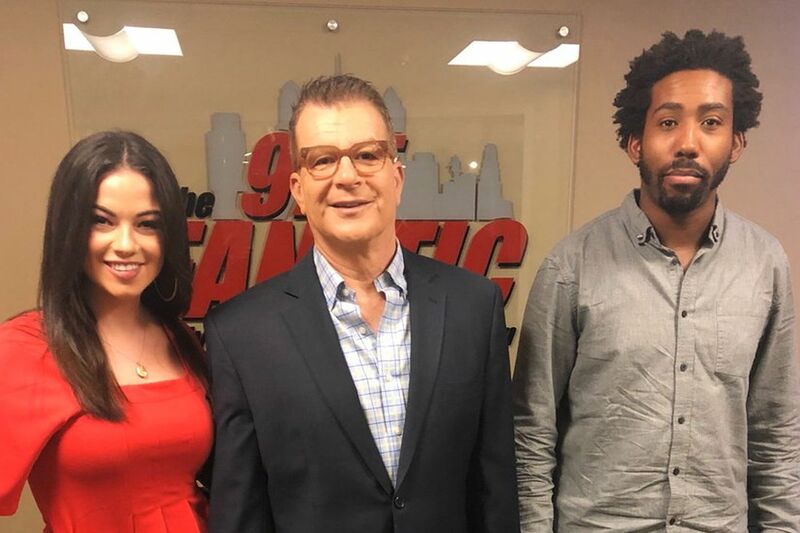 Following the launching of her show, Host of Saturday Sports Social with Natalie Egenolf, Natalie became an on-air correspondent for Comcast Sports Net Philadelphia and a sports update anchor on The Mike Missanelli Show. When it comes to the correspondent’s love life, she has been quite cunny about it. She often times flaunt several pictures alongside sweet notes to her, mystery man. Natalie Egenolf is yet to reveal the name of her boyfriend but has gone ahead to make juicy comments about him on most of her social media pages. Till date, no one knows for sure who her boyfriend is not to talk of whether she is married. More so, if she was married, we wouldn’t tell because there are no details of her union anywhere close to the records. To the best of our knowledge, Natalie is a single woman who is still in search of true love. All through the years ever since she started her career, there has not been a time Natalie found herself idle. She quits from a job and lands in another. She is quite talented with what she does and has achieved a lot in her career. However, her exact net worth is still under review. Natalie’s love for her immediate family can be seen in most of her uploads online. She often times flaunts her little niece on her social media handles, expressing her love for the little girl. She has two siblings- an older brother and a sister. Despite the obvious that Natalie Egenolf has taken to social media to express how she feels regarding her siblings, she barely talks about her parents. In fact, their names are not known to the public and you can barely find a picture of them on her social media handles. That notwithstanding, the sports commentator has reverence for them. More so, in Natalie’s free time, she prefers spending time with her family cracking jokes around a cup of coffee. She also loves dancing and cooking.